Your backpack carries your small world along, everything that you are obsessed with, your informal necessities, pick one accordingly. One prefer briefcases, duffle bags, some suitcases, and some adhere to go by large travel trolley bags to fit in their belongings. But the most comfortable of all is to always carry a backpack as well along, which is easily accessible, quick to carry and enough made to carry for you things you need just at your hand, including your passport, eye glasses, medicines, may be your phone, a bottle of water or maybe a book you have been reading. 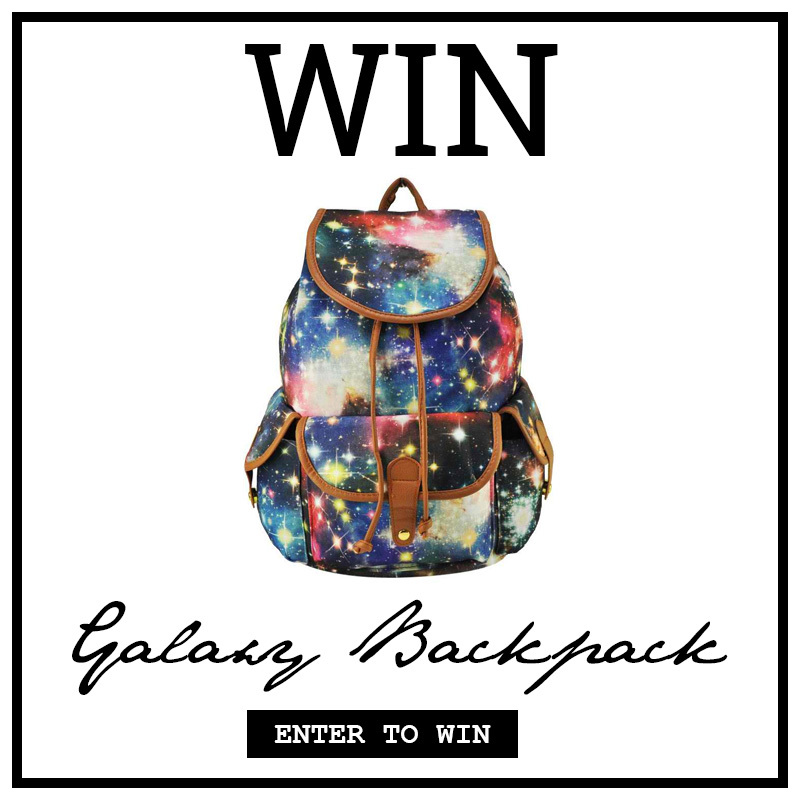 One lucky reader will win a galaxy backpack bag worth $42.99. Just follow the giveaway widget below and be entered for a chance to win. This giveaway will end on October 14, 2015, 11:59pm (Philippine time). I love the unexpected and quirky, and a backpack is a great way to do that. Love this one -- thanks for the opportunity! I really like the backpack and I love astral things. That bag is awesome! !I love the design! I love the colours in this backpack. Beautiful backpack, love the galaxy theme. I like that is different looking and colorful. I love anything galaxy, now seeing the pattern on a backpack makes me love the idea of productivity even more. This bag is OUTER SPACE <3 love it! I`ve always wanted a galaxy backpack ;__; They`re so pretty! This in an adorable backpack. I would use this all the time. You host, without a doubt, the coolest giveaways! This one is just magical. wow that is a beautiful back pack ! , Great giveaway ! !